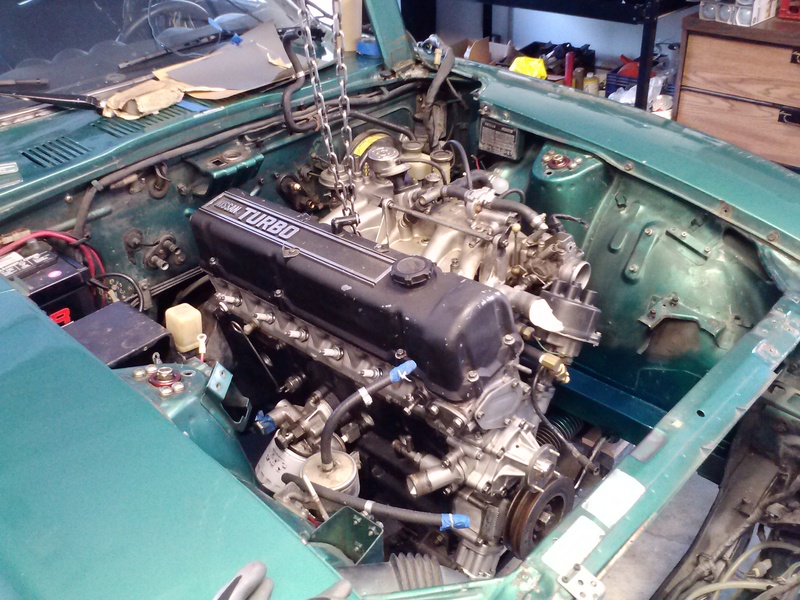 After the new engine was prepped and ready to go everything was set for the final stretch of the l28et swap. 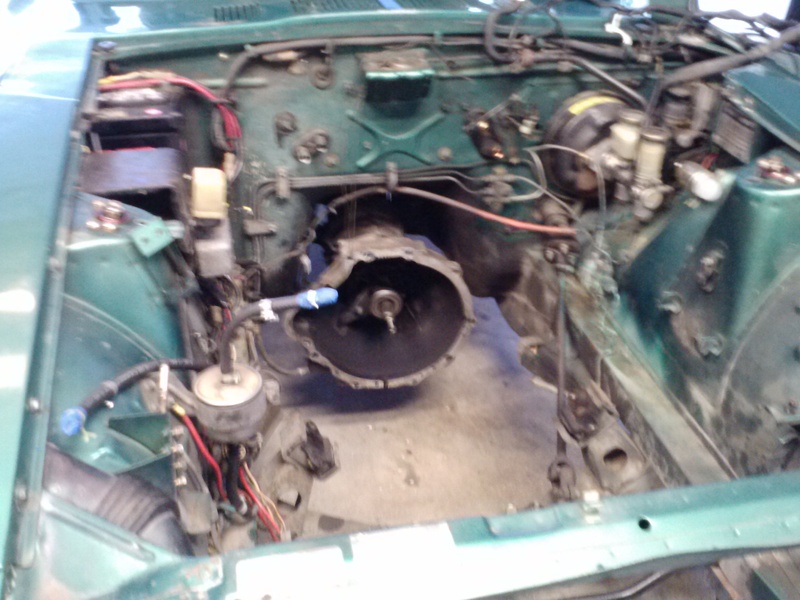 It actually pretty straight forward, take out the old engine and put in the new one. The method of doing so is another issue. Luckily the garage i did the swap in had a thick wooden beam that i could attach a hoist to. I opted this method instead of a cherry picker. 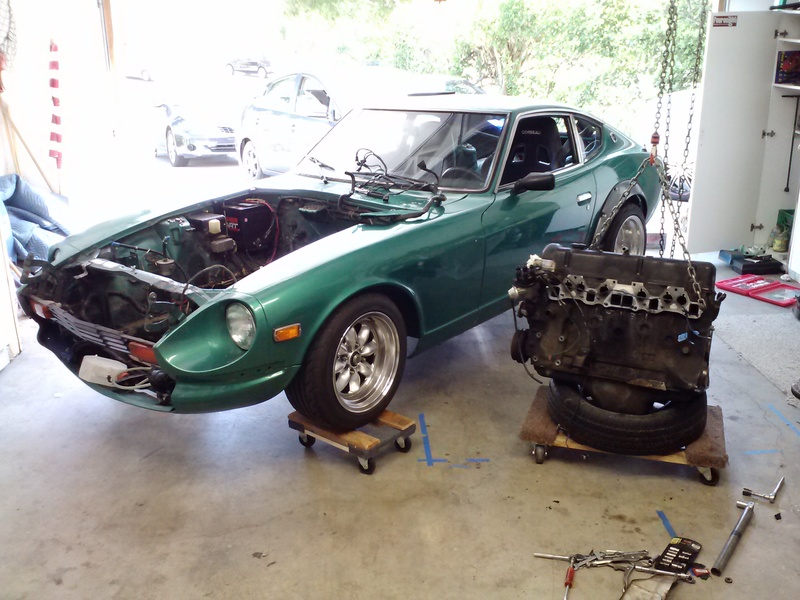 Datsun marked in garage for proper placement later. 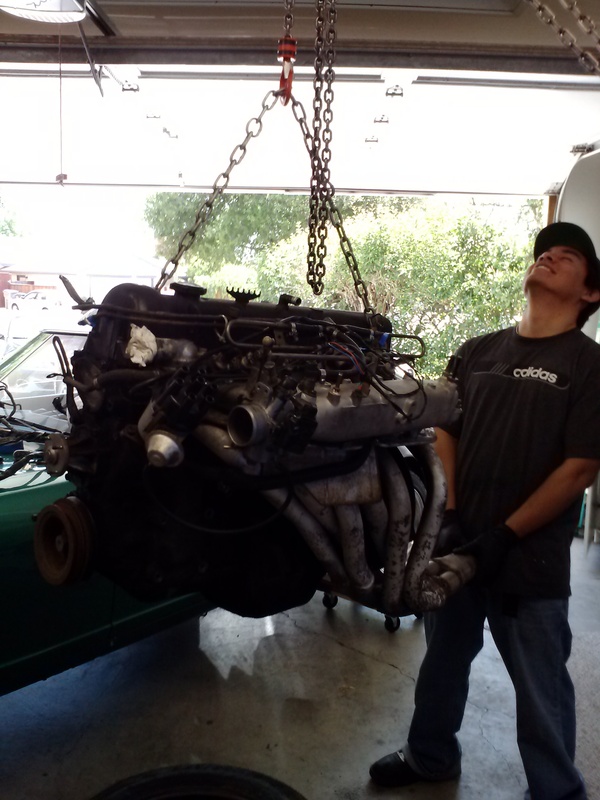 After draining all the fluids, removing the radiator, and undoing the engine mounts, it was ready. No strings attached. Old one ready for removal. The engine came out easier than expected. The only snag being the headers. If removed it would be an extremely easy process. stripping down the old one getting it ready for storage/resale. 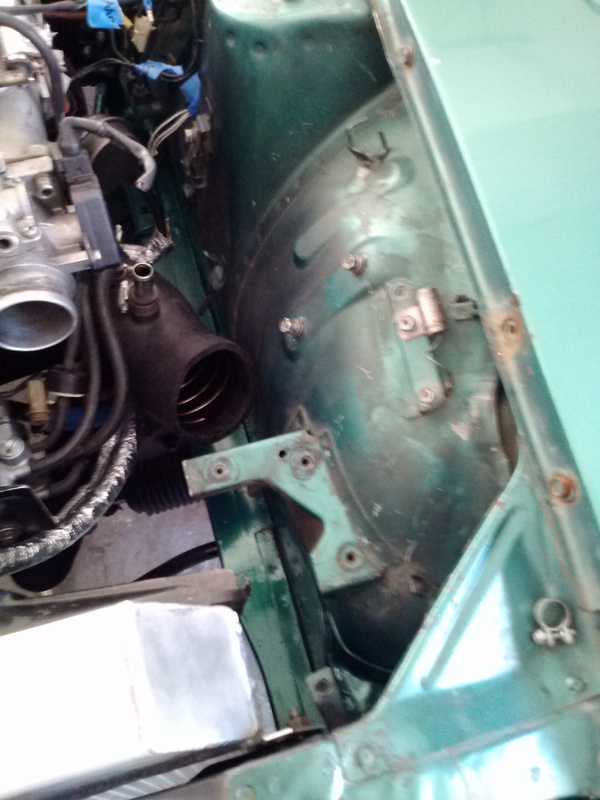 With the engine out, I had a lot more room to mess with the engine bay. Also to make room for the turbo afm I had to cut off the stock AFM bracket. Sanded some of it down, primered and painted it. 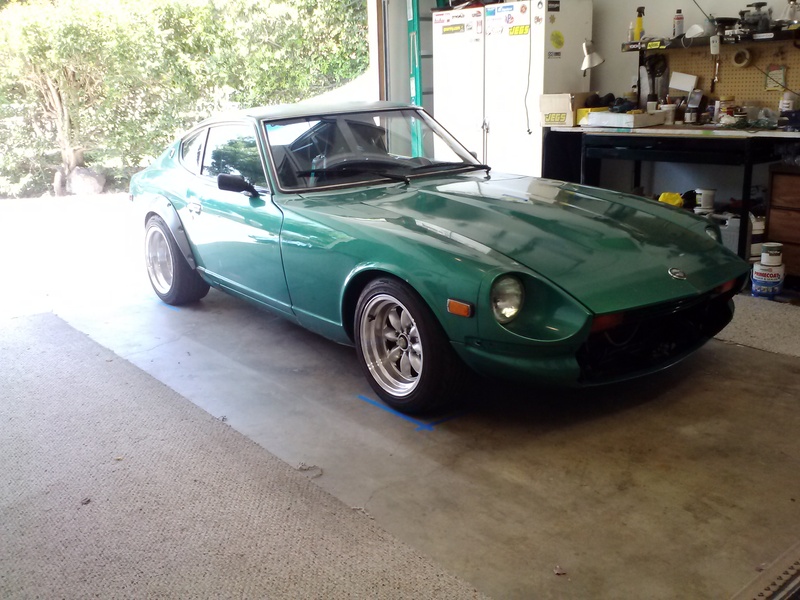 I found an metallic green at OSH that matched pretty close to the stock Datsun emerald green. After installing the radiator (Eagle 2-row Aluminum Radiator) I found out about the AFM bracket I was talking about earlier. 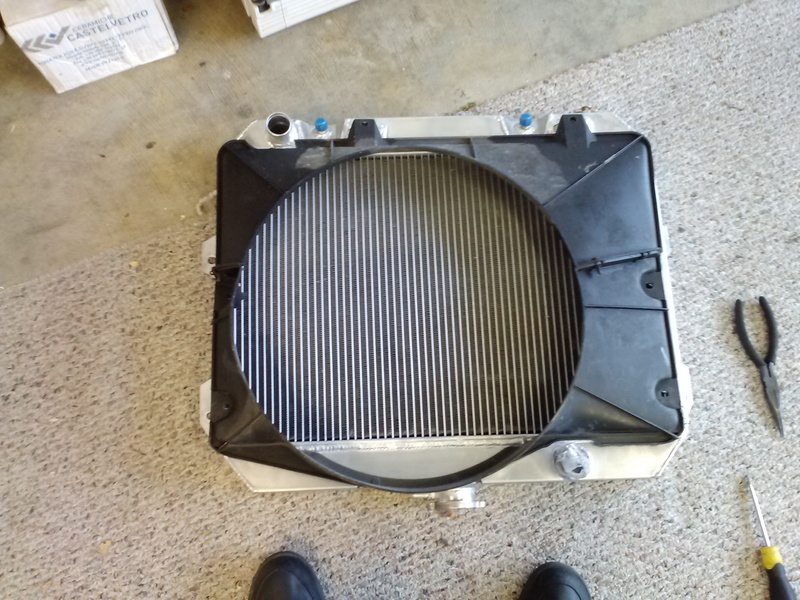 The new radiator required some shroud trimming. The shroud required some trimming. But otherwise, it fit. 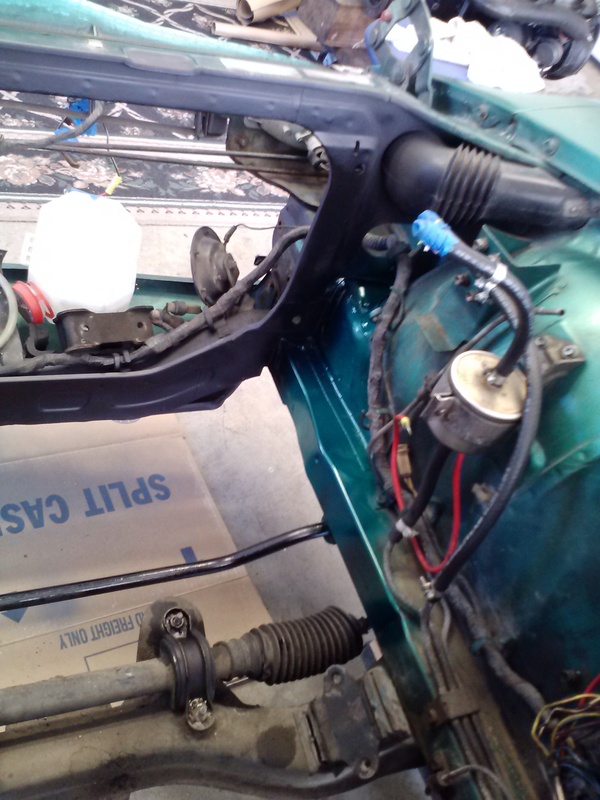 Being concerned about the wiring aspect of the swap, I opened up the harness to wires so I can get a solid idea of how everything was routed as well as some rerouting/tucking. :). Wiring was really simple with the harness I had. I was already semi set-up for a swap. I re-did most of it though. 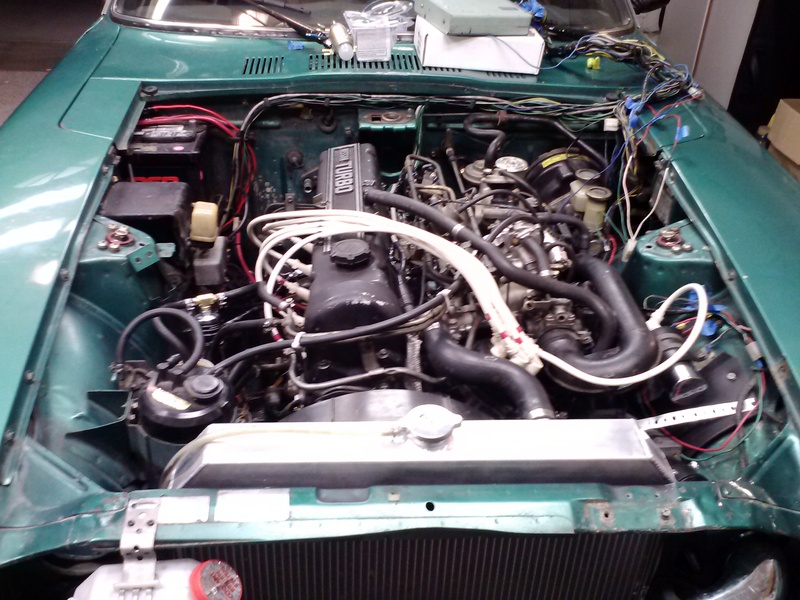 I re-made the ignition harness, installed an HEI unit, wired in the power and “start power, wired in power to the fuel pump, power to the injectors and ecu, and installed the proper relays and fuses where needed. It was really only 5 or 6 wires in total. Set up for first start up. 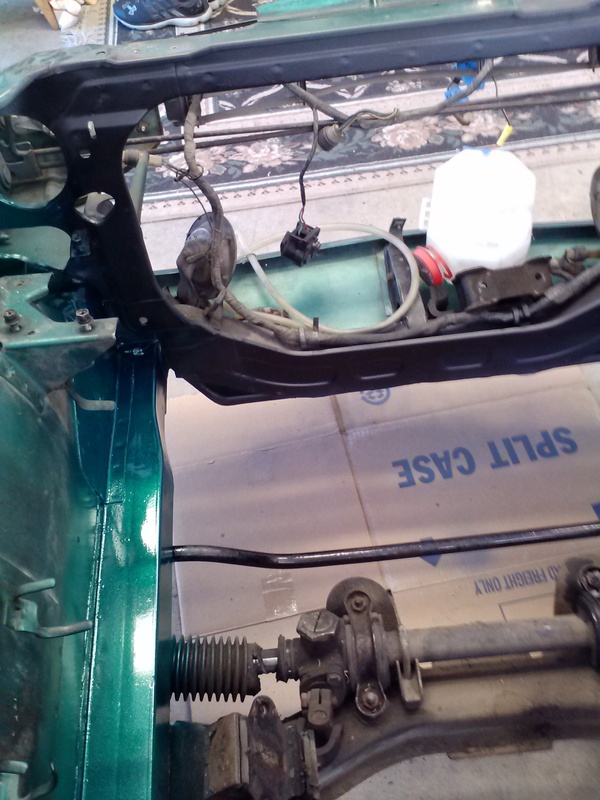 Before starting I had to change fuel pumps. 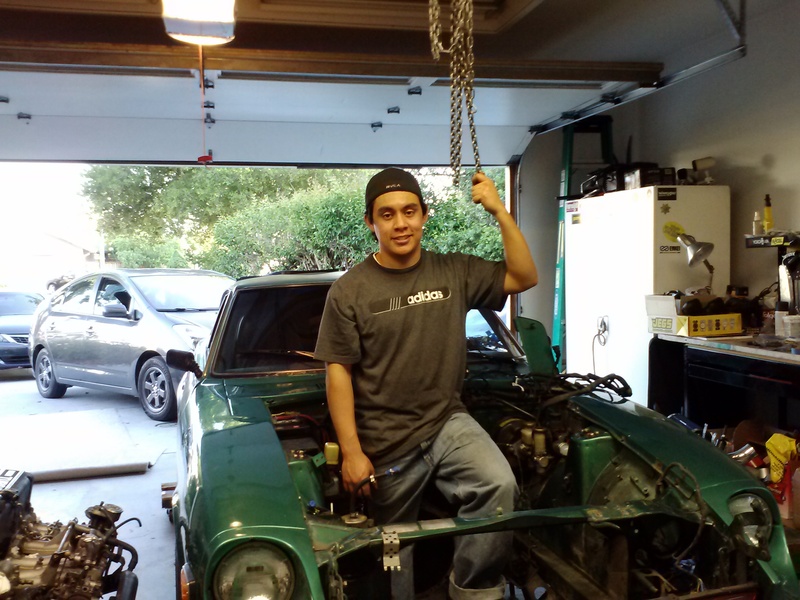 Well, i didn’t need to but I wanted to drive it as soon as I got it running decently… I used a walbro 255 pump that I bought from a Hybridz member. 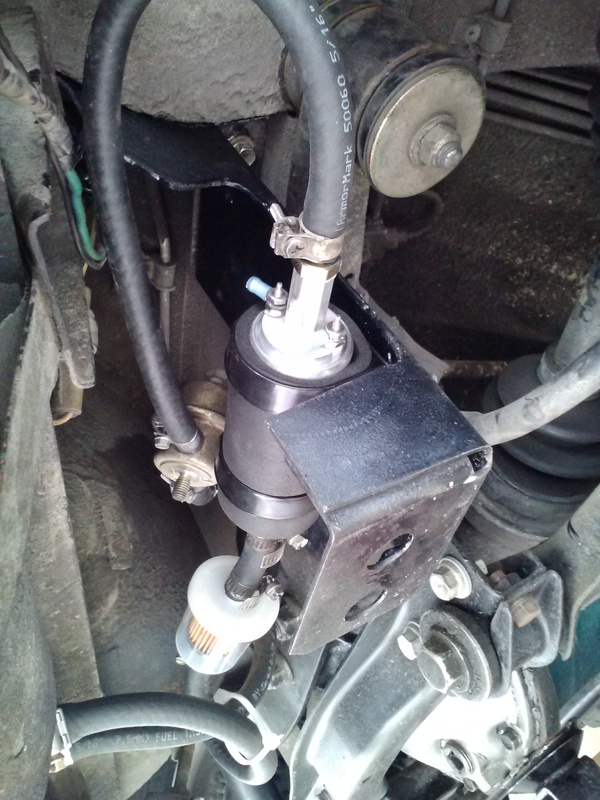 It did require some modifications to fit in the stock location. And after that. It started on first turn of the key. It was exciting. Congratulations, how does it feel? 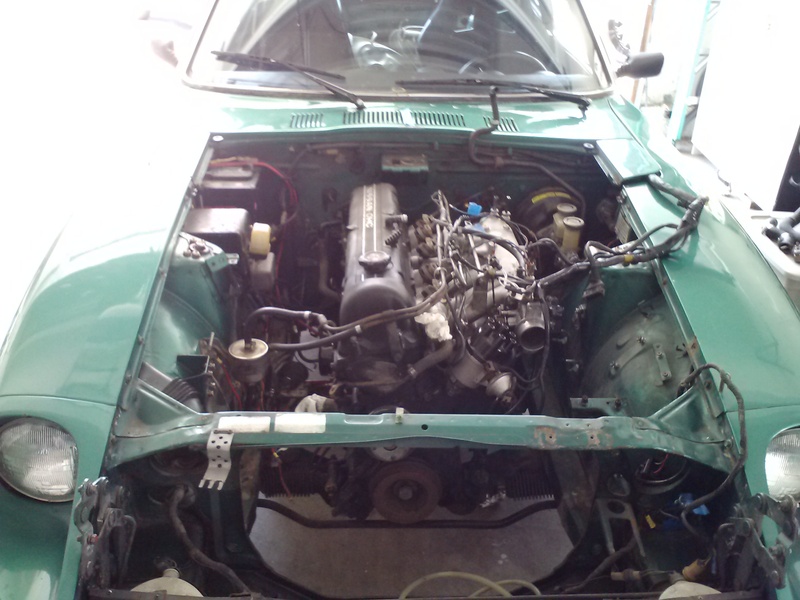 It feels much stronger than the stock motor with only the stock tune. I can imagine what pulling more power out of the set-up will feel like. I’m still surprised it started up so willingly on the first try!